I’m not sure why but I’ve never really been one for casseroles. I think my need for everything neatly in it’s place goes a little nuts when I see the plated dish. Everything is everywhere on the plate and there is really no way to make it look pretty. But, when it tastes like this did I’m willing to excuse the mess. I do think next time I’m going to make this dish into King Ranch Enchiladas. Instead of layering everything I’m going to roll the meat into the tortillas then put the sauce and cheese on top. That way it will look a little better when plated. Either way you make this though, it is really good! I used a rotisserie chicken and shredded it but you can use any chicken or beef you want. I am wanting to get to like mushrooms so I bought some to throw in but, forgot about them. It would probably be pretty good but I don’t really know. It does take quite a while to make so be sure you have plenty of time. It also freezes well. Just make sure you cover it with several pieces of foil so it doesn’t get freezer burn. 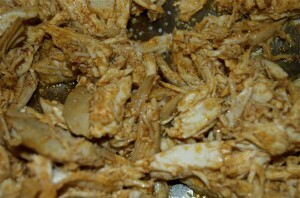 In a skillet on medium heat combine the chicken, 2 tablespoons of lemon juice, and 2 teaspoons chili powder and cook for a couple of minutes to combine. In a large saucepan on medium heat melt the butter. Add the onions, bell pepper and poblano and cook for about 10 minutes. Add the garlic, cumin, flour, cayenne and 2 tablespoons chili powder and cook for one more minute. Add the chicken broth and cook until thick. Pour in the half and half and Ro-Tel, cover and cook at a simmer for 15 minutes, stirring occasionally. Add the sour cream, the rest of the lemon juice. Taste and add salt and pepper to taste. Remove from heat. Heat the tortillas for a couple of seconds in the microwave. 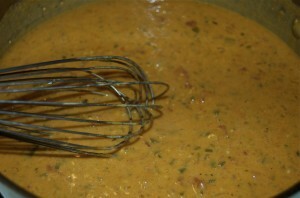 In a 11×7 casserole dish spoon in 1/2 cup sauce. 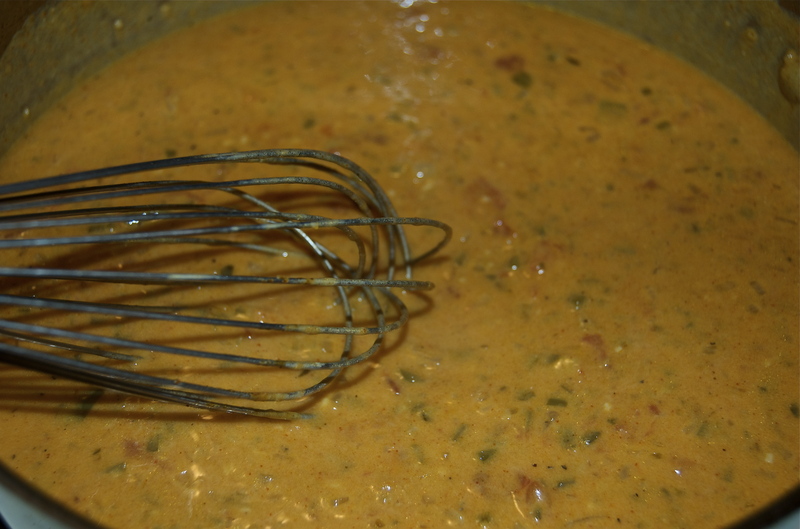 Place a layer of tortillas on top, then add a layer of chicken half of the remaining sauce and 1 cup cheese. Continue to layer tortillas, chicken, sauce and cheese. 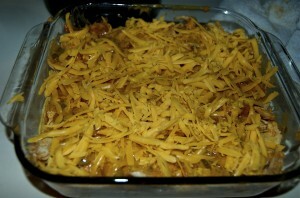 Place casserole, uncovered, into the oven and cook for 30 minutes or until the cheese is bubbling. This entry was posted on Wednesday, April 14th, 2010 at 9:40 am	and is filed under Blogroll, Mandy, Recipes. You can follow any responses to this entry through the RSS 2.0 feed. Both comments and pings are currently closed.